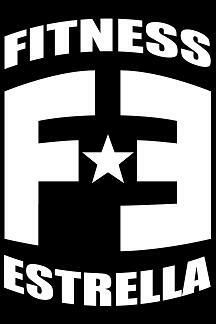 This is the second CF Open WOD 12.2 (posted on 3/02) this year to qualify for the Games. Ran 4.25 miles today. It was up Westar hill...what was I thinking?! Anyway, it was good for me to do. The first 2 miles felt good, but after that hill I felt like I really had to push myself to keep going. Nice job Lisa! Today I di an old WO from 1/03/10. My son did it as well! Great job Stevie. ...would have liked to hit all the 75lbs but going up 30lbs after the first set was tough...got the bar above my knees and knew it wasn't going to happen. Dropped to 65lbs and that was ok. Only took 2 minutes to complete the first 30. Don't even want to look at the leaderboard...lol. Enjoy! You are awesome, Krista! I don't think I will even attempt this one. Thanks! I believe you can do this Jen!! So I hope that I look at this some day and think to myself how weak I once was...That being said I tried this WOD twice today. The first time I tried it I did 36 reps. I finished the 75lbs and then moved to 135 and did that six times. I felt like 135 was pretty heavy and I felt my form was bad. So knowing that heavy weight + weak form = injury, I decided to stop. Then I decided to try the women's weights. I am sorry to say Iceland Annie KILLED ME. I hit 80 reps. Easier but still could not get the full 90+ reps like I wanted.